Myanmar Net is one of the leading service providers in Myanmar. Since its launch in 2015, the provider has always been ahead of competition when it comes to innovation. Technology wise, Myanmar Net uses a mix of Fiber and Wifi to provide connectivity to its customers. In Yangon, Myanmar Net operates the largest urban wireless network. The network is built with carrier grade technology (Cambium and Ruckus mainly). The service provider has signed a unique partnership with Yangon Electricity Supply Corporation (YESC) to use the electrical poles to deploy its infrastructure. What is very unique about Myanmarnet wireless network is the reach. City-wide network is meant to connect people on the street, at a cafe or in the shops, in a nutshell: people roaming around. But Myanmar Net uses the very same network to provide home broadband connectivity. To achieve that, the service provider had to deploy a very high density of access points. This enables the service provider to penetrate houses and buildings. Depending on coverage, customers can connect to the Wifi network directly from their laptop or smartphone. In some cases, a wireless router is needed to amplify the signal inside the house. Last resort, the service provider installs an external antenna mount on the apartment window to provide a steady signal to the customer. Besides its Wifi network, Myanmar Net also connects more than 100 condos in Yangon and Mandalay with fiber connectivity. In such cases, the service provider takes care of the complete in-building infrastructure up to the customer apartment. Myanmar Net success certainly resides in its vast network but also in its capability to always be ahead of competition when it comes to innovation. First, Myanmar Net is the only service provider with a complete prepaid offering. Prepaid packs start as low as 1000Ks for 5 days. These micro-packages definitely built the popularity of the service provider and pave the way to its success. On the same prepaid scheme, Myanmar Net also offers volume-based packages that can be used over 30 days. Prepaid customers can purchase prepaid cards to top up their account exactly as they would top-up their mobile SIMcard. 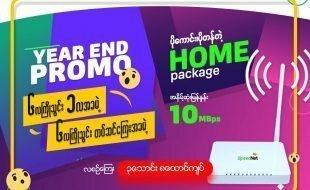 With its prepaid packages, Myanmar Net is definitely playing in a different field. 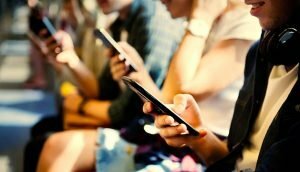 The service provider mimics mobile operator codes which is smart knowing the telco giants spent millions of dollars in marketing educating / conditioning people with new consumer codes. Myanmarnet leverage this background work to grasp market share in the service provider field. As of today, Myanmar Net has more than 300,000 prepaid customers which is probably the biggest broadband customer base in the country if we set the mobile operators aside. Still on the innovation field, Myanmar Net recently teamed up with Telenor to offer every Telenor customer the possibility to offload on Myanmar Net Wifi network at very reasonable price. Myanmar Net is also the first service provider in Myanmar to release a VOD offering. Viu is an over-the-top video service operated by PCCW Media that provides Asian dramas, variety programs, anime and entertainment news. Myanmar Net prepaid customers can enjoy Viu by purchasing Internet+VOD bundle at very competitive price. Viu is not yet available for postpaid customers but that may change soon. Coming back to technology, Myanmar Net wifi network was certainly the right move to rapidly expand and gain market share but unlicensed spectrum is far from being reliable. In a city like Yangon crowded with service providers, Wifi gets rapidly congested. Myanmar Net is copping with the wifi network issues by deploying its fiber network as an overlay. The service provider started offering Fiber to the Home (FTTH) service 6 months ago. 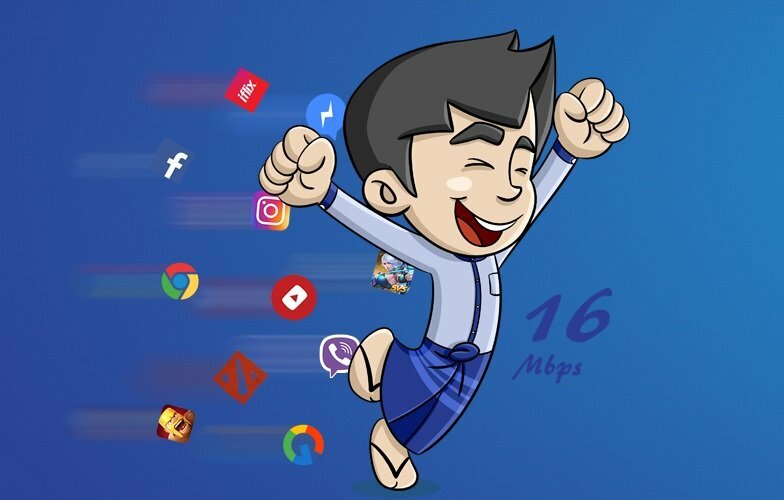 As of today, Myanmarnet FTTH coverage includes Lanmadaw, Lathar, Pabedan,Kyauktadar, Botahtaoung, Pazountoung, Kyimindaing townships in Yangon. For Mandalay, Mahar Aung Myay township is covered with fiber at 45% and ChanAye Thar Zan at 30%. This new network will enable the service provider to convert wireless customers to fiber, providing an enhanced experience while relieving the load on its wireless network. Myanmarnet is not only an ISP for home users, it also provides Internet services for businesses. The ISP counts as of today 40,000 corporate customers including major embassies from Asia and Europe. The service provider recently releases a new offer for SME’s called Myanmar Net BIZ. 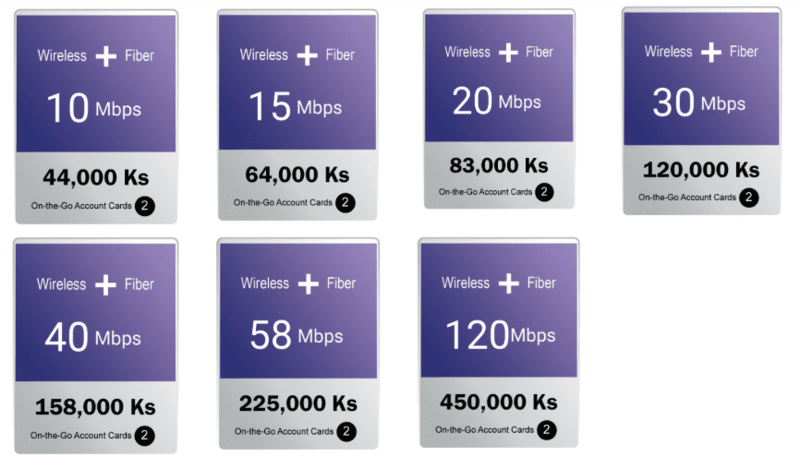 The unique value proposition of this new offer is to provide a redundant last mile (Fiber + Wireless) to the customer location. In the event that the fiber break, the service will automatically fail-over to the wireless link ensuring no loss of service for the business customer. 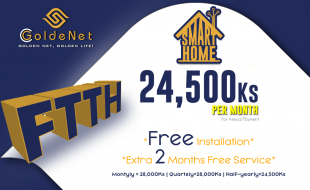 The installation fees are as low as 39,000 Ks for each line and if you decide to subscribe for 6 months, the second line installation is waived. The new offer is already available everywhere in Yangon. Over the past few years, Myanmar Net has become one of the leading service providers in Myanmar but it does not rest on its laurels. The service provider keeps on releasing new innovative products for its customers. Myanmar Net built its customer base on its dense Wifi network. But over the years, the quality has degraded and a new range of offers which directly compete with its prepaid product has emerged. First Ananda launched its 4G network in Yangon in May 2018. Telenor then Ooredoo also launched home wireless broadband. These new services run on dedicated spectrum which should provide a steadier performance than Wifi. If we set Ananda’s teething problem aside, these 4G products have been warmly welcome by the market and perform very well. Sensing the winds of change, Myanmarnet started to invest on fiber earlier this year. On top of it, the service provider was one of the first to bundle Internet with OTT. As the Internet prices fall and 4G is on the rise, 2018 could have been deadly for the service provider. But the corner was negotiated with confidence. Previous PostHow to choose the right Internet provider for your business?